It only took me three years-ish to finally realize that all polls, no matter how stupid and wrong (AHEM, AP AND COACHES&apos; POLLS, WHOOPS, DIDN&apos;T MEAN TO STARE SO HARD IN YOUR DIRECTION, BUT YOU REALLY ARE TERRIBLE; REAL TALK), always come out at the beginning of each week, not the end. So, in a move of reorganization and consistency with that of terrible things, these weekly polls of sceintific merit are moving to earlier spots in each week. I know this might throw your calendars into disarray, but like Arkansas fans in the John L. Smith era, we can get through it with some Scotch tape and praise music. Ranking those who carried on while others around them were crushed by failure and/or incompetence. Now 1-12 against SEC West teams not named Ole Miss and made Gene Chizik&apos;s life about 2,000% messier, which can be enjoyed by everyone. A startling lack of blood and anger, while an adequate supply of offensive direction and purpose. He bravely carried the banner of old man football into strange lands and left it planted at midfield. Perhaps his last week in the poll for quite some time, but it was two-week journey that showed Ole Miss fans that football can be played competently and without dumpster fires on the sideline. With each game, his professional paycheck rises. His Georgia one stays pretty much the same though. If Ted Roof was still coaching at Auburn, Russell would probably be at the top spot in the poll. After the Gamecocks threw for 397 yards against East Carolina, the voice inside his head finally quieted down. A Florida quarterbacking performance that did not inspire tears of despair. He may never beat Nick Saban, or almost anyone else in the SEC, but he can bring the pain to the doorstep of Saban&apos;s alma mater. He didn&apos;t fight the other James Franklin, his defense created three turnovers, and slowed down a strong offense. So, the lesson to be learned here, other than large organizations despise all things consistent and love consolidated power with no appeal process, is that Elston should try to decapitate the receiver next time, take his 15-yard penalty, and get ready to play in the next game. Not only is he dealing with bankruptcy issues, he now has the anger, ridicule, and FOIA requests of Arkansas fans reigning down upon him. Less than two years after becoming a published author, WHO DID HE PAY TO WRITE THAT BOOK? The 11:30 AM kickoff against Presbyterian this weekend will have dozens upon singles in stands. The transition from Gus Malzahn offense to pro-style offense has maintained the structural integrity of something hit by a daisy cutter. He was really hoping for a second overtime against Louisiana-Monroe so he could ignore Knile Davis (and all the running backs) and give Brandon Allen the chance to throw four more incomplete passes. The bad news is that his defense couldn&apos;t hold a lead over ULM and gave up 550 yards of offense. The good news is Tyrone Nix is still the worst. A significant threat to break Jevan Snead&apos;s 17-interception regular season, which inspired the Jevan Snead Award for Outstanding Achievement in the Field of Quarterbacking Failure. After two quarters of, hey, they might score 40 points, his second half offense ground to a halt with the efficiency of a second half Houston Nutt offense. 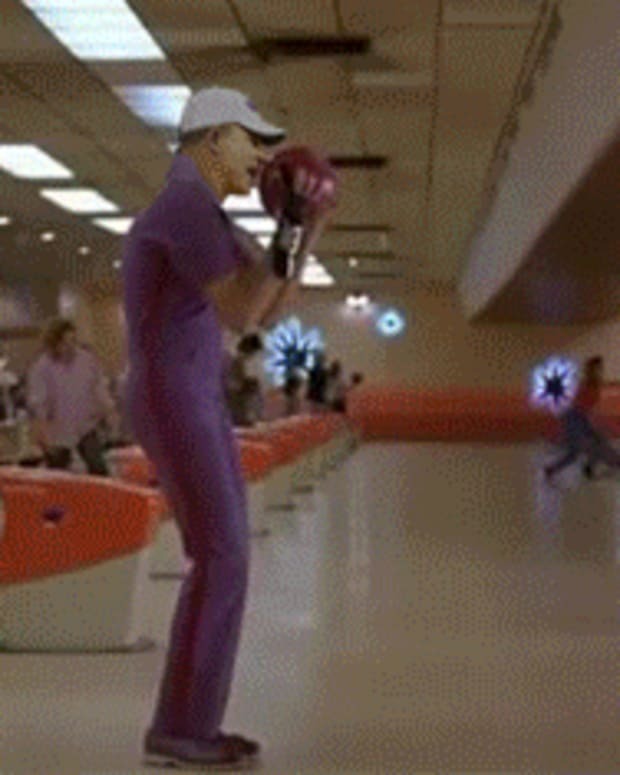 A real coach dedicated to a 34th national championship beats a team from the Sun Belt by 74. Hey, Remember When Danny Sheridan Wouldn&apos;t Stop Talking About The Bagman?